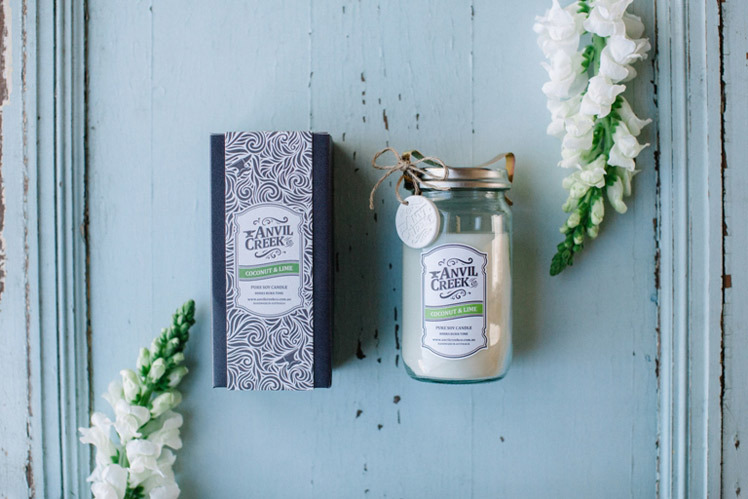 We chat to Jasmine & Scott of Anvil Creek Co about how their love of collecting vintage and rustic country surroundings inspired their environmentally friendly candle label. Find this Hunter Valley based label at the upcoming Sydney AW15 Market this weekend! 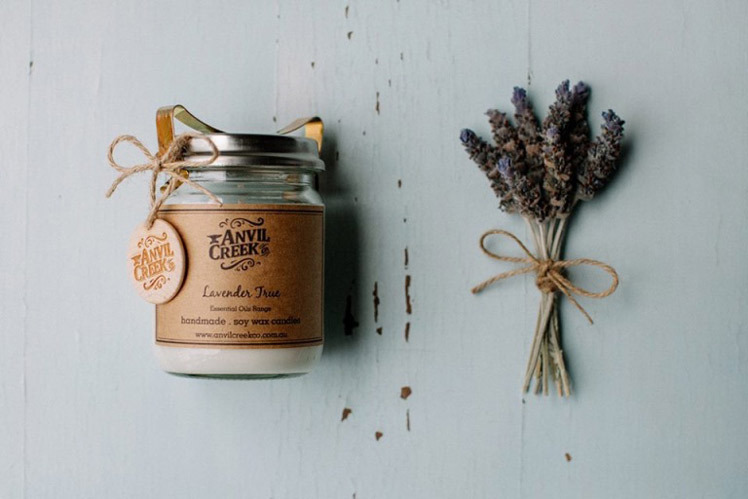 Tell us a bit about Anvil Creek Co and what products we can expect to discover? Anvil Creek is the name of our property located in the scenic Hunter Valley, the heart of Wine Country. 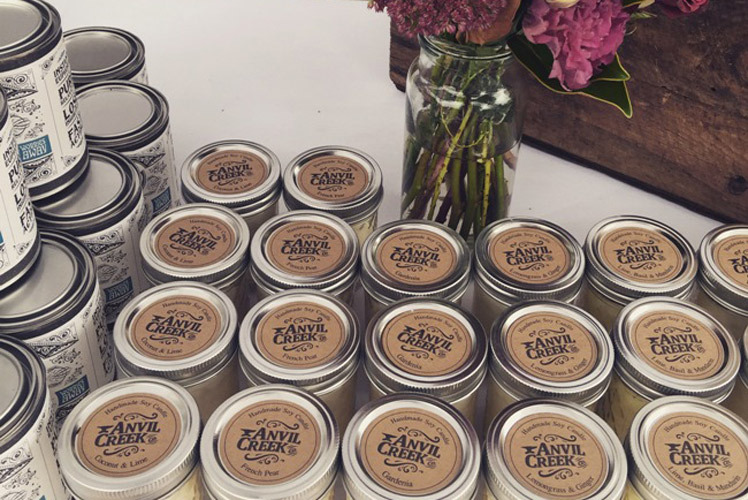 Anvil Creek Co was established in 2013 by Jasmine and Scott Cameron after years of seeking a creative outlet for themselves. We decided to start our range with soy candles as Jasmine has always had a passion (addiction) for quality fragrant candles. As we discovered, there has been much to learn in search of perfecting a quality product to market. Quality and presentation has always been our No1 goal and found people always return to purchase more of our products. 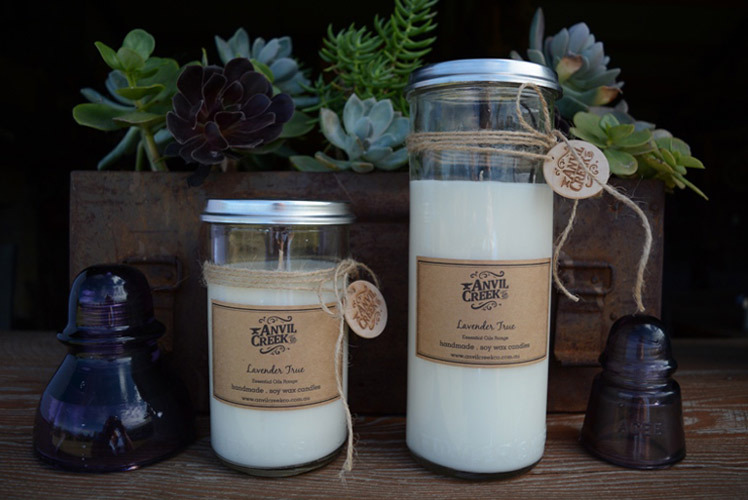 Anvil Creek Co offer 100% soy wax candles in Fowlers preserving jars presented in specificity designed letter press inspired boxes. 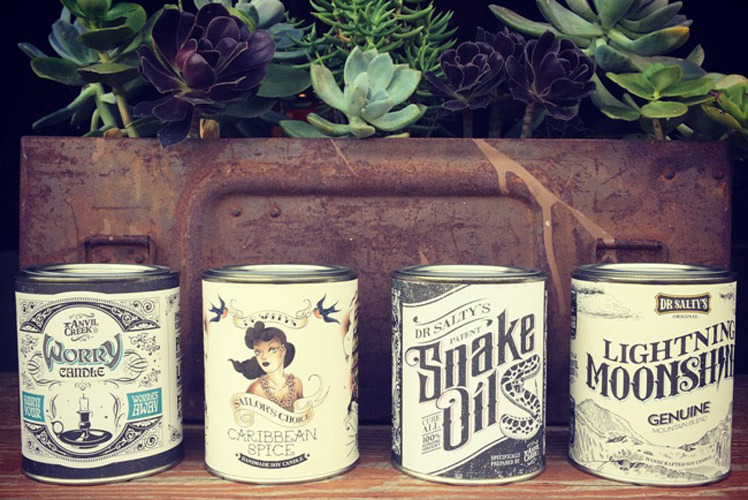 Ball Mason preserving jars, travel tins and our latest range of Vintage advertising inspired paint tins. All candles are available in a range of quality fragrances. We both have forged careers in mining. Scott manages a large engineering company, and I work in commercial services. We are both born and breed in the Hunter and would not live anywhere else. Scott was raised on a farm producing fresh fruit, vegetables and beef cattle. He has had a passion for collecting all things vintage and rustic since an early age and still goes out ‘picking’ whenever he can. I grew up in suburbia, just around the corner from my local school. We both have a passion for design spending 15 years constructing our home with recycled timber and pieces Scott has collected. It all started in 2000 when we first met. We both have a passion for all things vintage and find inspiration from the design and quality of products created in the past. People still want quality handmade products. The compliments and encouragement we have received from others in the Newcastle/Hunter artisan community keep us motivated and inspired everyday. Dream big and go for it. Where do I start? It’s all just down the road, wineries with amazing food, small country towns with one pub (the Harley loves a counter lunch) Beaches, mountains, amazing food, some of the most beautiful country side in Australia, world class music events, amazing food. A thriving cultural hub of talent in the Newcastle city, and did I mention the food? Awesome lifestyle, great place to visit and explore. Come and check it all out. Working on designs for our new paint tin range is very rewarding, we always find ourselves coming up with new ideas and Scott loves to sketch these down when he is inspired. Watch this space, more is too come. Testing and experimenting with new fragrances is very exciting as we both love to find a new scent that reminds us of a place or memory from the past. Using 100% soy wax can be challenging at times as climate conditions can affect wax. Our family and friends love the endless supply of candles for testing. 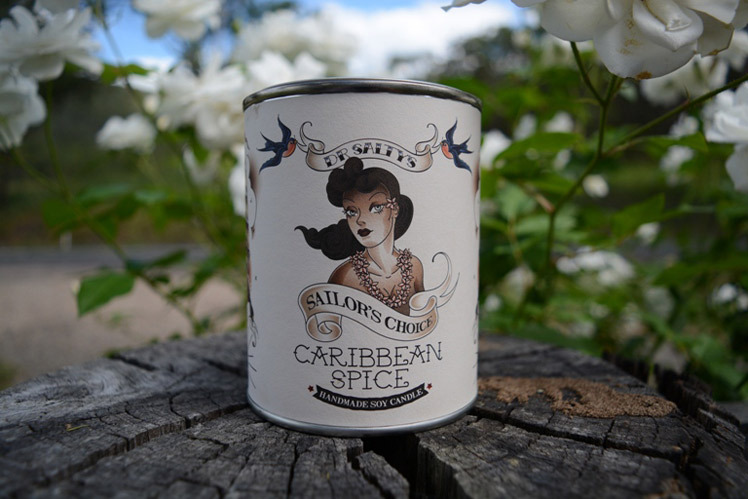 What can we expect to see from Anvil Creek Co at the upcoming Sydney Markets? We can’t wait four our trip to the city to display our wares. We will have a large range available including for the first time our Dr Salty’s Lightning Moonshine. Hope to see you all there.